Note: this was written in 2014. Even booksellers are human and get frustrated. I had the unfortunate experience of attending a local festival this past weekend. What I experienced hasn’t been anything I have not encountered before nor do I fear, will it be the last time I will go through the humiliation I go through each and every time I attend a event in my local area of not having sold a book, least of all anyone taking an interest in it. I write this out of frustration and bewilderment, noting the irony of my frustration happened in a festival celebrating what we call Juneteenth, when Black people can celebrate our ‘freedom’ enacted by President Lincoln back in 1863. It’s hard to write this because I’m deeply frustrated right now, beyond disappointed. For years, and perhaps it’s becoming more and more common in our communities, but whenever authors show up to showcase their books, it’s almost as if we’re not wanted. By our own people. Yes, it is true we have regular folks who approach our tables and will ask questions about the books we sell, but when I encounter a visitor from my table or booth, I get a man or woman who boast the fact ‘”I don’t read books.”. I’m positive literacy and education in our fight for empowerment were crucial at one time, but comments like that are ignorant and asinine. 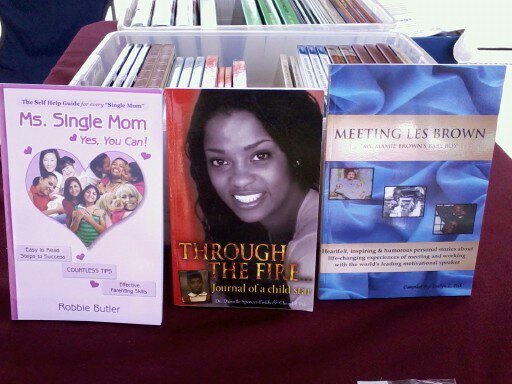 Whenever I attend a festival or fair in the past, I sold at least one book. This past weekend, I didn’t sell one. Another comment I heard and very familiar with is “I don’t have money for books, but…” Question: why do you approach an author’s table saying that out loud? I imagine and have always felt people walk up to an author’s table or booth finding the need for something to say. It’s like authors are treated as exhibits in a zoo. Patrons can walk, but dare not touch for whatever fears they have in their minds. Telling an author you like the book but can’t buy it to their face, is a grand form of insult and I urge anyone who attend a festival or literary event not to say that in the presence of an author. This is our fault. All of it. The sooner we can say we’re responsible for our own decline of our bookstores closing down, low attendance at literary festivals, etc, the more we can be honest about this one fact; we no longer are developing a culture of reading. Perhaps it’s all the technology, the smartphones, unsocial media, the tweets in which we’re limited to 140 characters, perhaps it’s the ‘new age’ we’re living in, and we’re all ‘victims’ of it as someone on my social media timeline once told me after I posted my disappointment of the past weekend. Perhaps it’s the focus on reading that is seen as ‘not cool’ and ‘too close to white’ that has our keyboard activists not paying close attention to the growing online giant threatening once again to put us in the same hole we’ve always found ourselves; without much ownership of the things we’re barely holding on to, like bookstores. This quote sums it up nicely, “Give them a show and some food and they’ll come a flocking…just not for books.” Trouble is, we want to throw our hands in the air, stomp our feet and have a good time whenever we as a people show up for an event. Books are seen as boring, a waste of time. That’s not what WE want. On the other hand, as we’re moving to a new technological age, we see companies like Amazon taking advantage of the publishing industry because of their influence and customer service (like you can get that item really, really fast). I’ve received a tweet message from a librarian who told me even their local branches have cases of Bibliophobia, a fear of books, because I’m more than convinced the Black community has a severe case of it. Truth be told, when I operated that mobile bookstore in Northern California, more often than not, the folks who turned their heads when they saw me standing near my table are the ones who share the same ethnic hue as I. The majority of folks who bought my books were of a familiar ethnicity and skin color. The book festivals I attended up North were mostly run and supported by people who are different than I culturally. Literacy and the love of books are embraced, whereas in my community, I have to beg for people to come and support an event. When a bookstore closes it’s doors, we complain about the need to ‘own our own’ and even that over the years is more of a dream than a possibility when forty years ago, Black people FOUGHT to make sure we would have our own shops and stores to support. You know, ‘do for self.’ Times have changed. I would hope this past weekend is not an omen or a sign, or even the norm that Black people refuse to buy books, but at least they can show up if authors have tables at a festival and buy books. The ones in the picture above should tell you based on the authors who wrote them, would be good reads for anyone, not just Black people. We can demand and protest all we want, but if we don’t refocus on a culture of literature and the importance of it, then the years ahead in this new technological society won’t be a happy ending for us….again. BONUS: This article references Earl Graves, the publisher of Black Enterprise who expresses my frustrations better than I can write them out to you. Please click the link.